Look no further than TradeWinds Island Grand Hotel if you're looking to stay at one of the best hotels in St Pete Beach Florida. 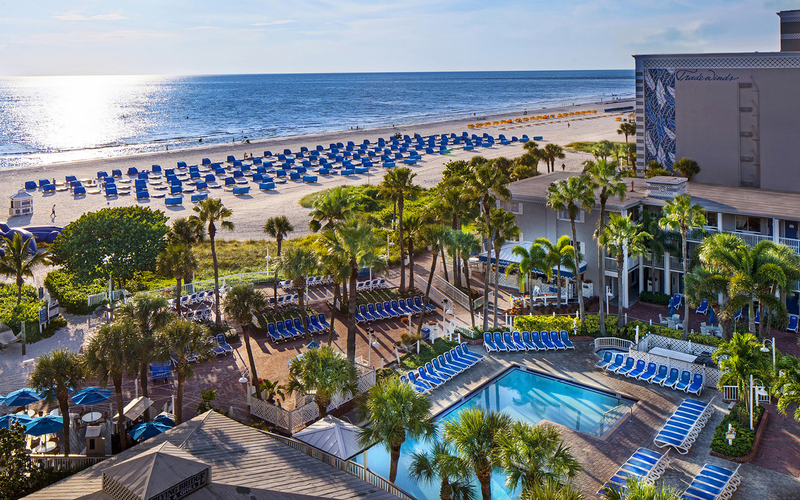 TradeWinds Island Grand is the largest beachfront hotel in St Pete Beach, meaning it's one of the largest playgrounds on the Gulf Coast. Spanning 20 lushly landscaped acres on a seven-mile stretch of one of America's best white-sand beaches, this St. Pete Beach resort is 28 miles from Tampa Airport. Guestrooms at Tradewinds have wet bars; suites have kitchens. All accommodations have complimentary wireless Internet access, complimentary premium cable channels on flat screen HD TVs, and custom-made dark wood furnishings and decor.